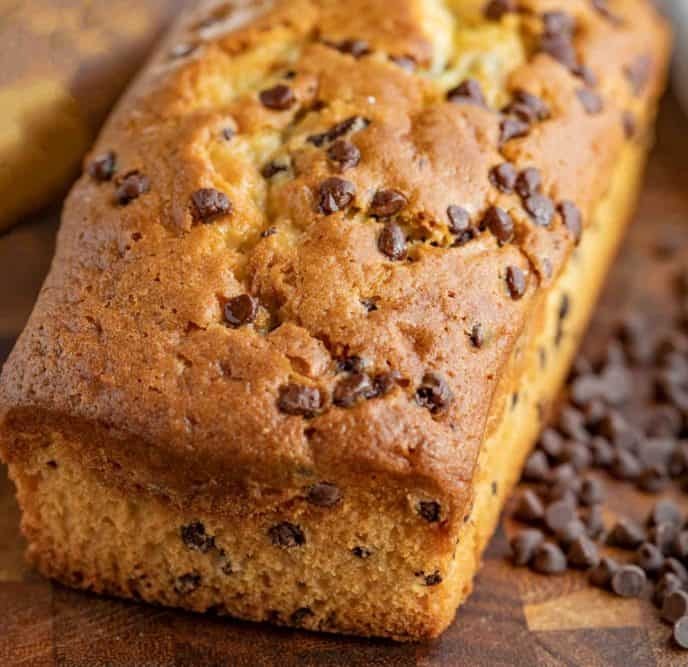 Chocolate Chip Pound Cake is the PERFECT combo of buttery, rich and soft pound cake with sweet chocolate chips baked in just 60 minutes! 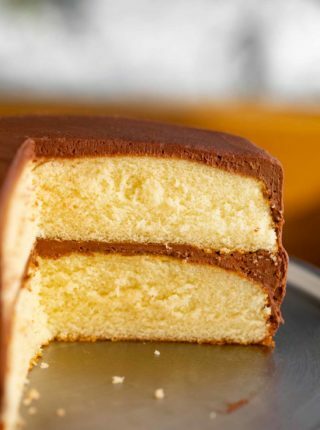 If you’re looking for classic cakes in the kitchen or even just easy cake recipes you’ll also love these Vanilla Pound Cake, Banana Bread, Yellow Cake, and Chocolate Cake recipes. 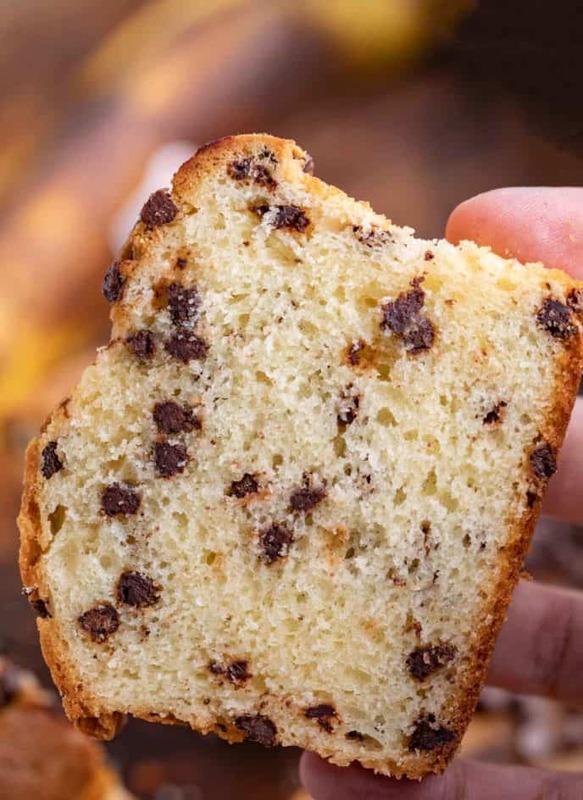 Chocolate Chip Pound Cake is my go-to dessert during the week, because it’s really easy to portion and include in my lunch when I have a busy schedule. 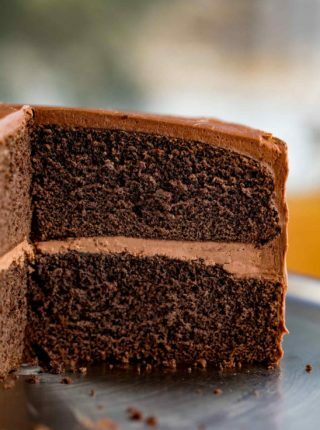 It’s the perfect combo of soft and sweet, with bites of warm melty chocolate throughout the entire loaf. If you’re looking for more tried-and-true dessert recipes, check out my Chocolate Chip Cookies or Turtle Cookes. If you want something more fool-proof, then check out our Peanut Butter Cookies and Peanut Butter Blossoms! HOW LONG DOES POUND CAKE KEEP? This pound cake will last on the counter for 3-4 days. Either seal it in an airtight container, or wrap each slice in plastic wrap to prevent it from going stale. I don’t recommend refrigerating cake, because it can go stale faster. 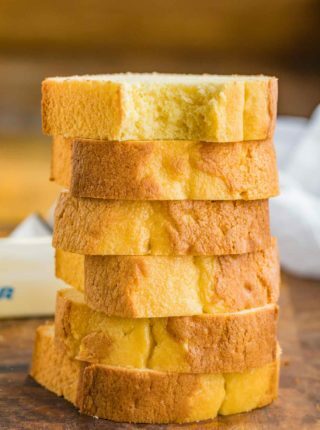 CAN YOU FREEZE POUND CAKE? This can be made ahead and frozen for up to 3 months. If you’re going to freeze it, wrap the cake tightly in plastic wrap, then in tinfoil. There are a few key tips and tricks that will keep your cake from drying out. The first is to watch your cooking time, to make sure you’re not over-baking. The next thing is to measure your ingredients carefully, even weighing them if possible to make sure you’re not adding too many dry ingredients, which can dry out your cake. You can also swap out the milk with buttermilk, which has more fat and higher acid naturally, so it will provide moisture to the cake while also help to make the texture really soft. This recipe almost always works for me without a cover, but if it starts browning around the edges while it’s cooking you can cover the cake with tinfoil to prevent it from burning. Let your cake cool for a few minutes before trying to flip it out of the pan, you may have to use a knife to run around the edges of the cake first. 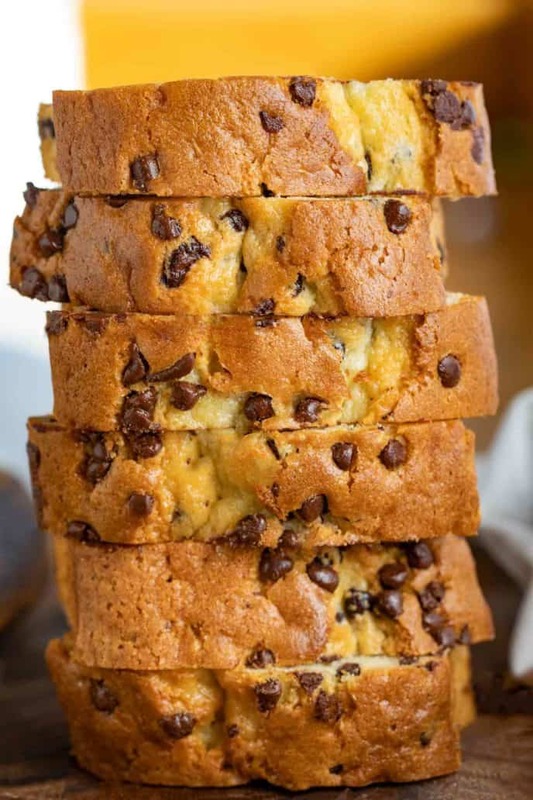 Coat the chocolate chips in all purpose flour to keep them from sinking to the bottom of the cake. Grease your pan with both butter and flour to keep it from sticking. You can also use any type of bundt pan that you have for this recipe but you’ll have to double the batch. Use a toothpick to check the cake, if it comes out clean with no crumbs then the cake is done. 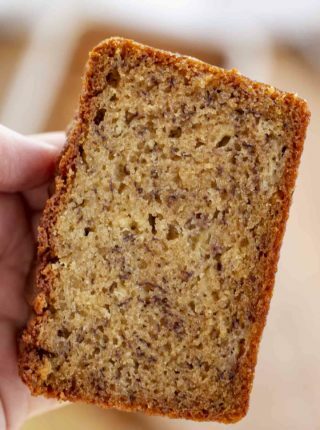 You can add a dash of cinnamon or nutmeg to the cake batter for extra flavor! 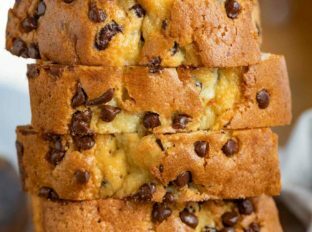 You can use dark chocolate chips or white chocolate chips for this recipe. mmmm…this looks incredibly delicious!! A must try! I am ready for a slice of this cake! It looks fabulous! I wish I had a piece with my morning coffee! This pound cake looks absolutely amazing! I sure wish I had a slice of this right now! What a delicious treat! This was the fluffiest pound cake I’ve ever made…sooooo good! I’m so glad you enjoyed it, Steph! Delicious! Have a slice of this with a cup of tea and I am one happy girl! Hi again! Lol! I am so enjoying your recipes!!! Question? Can this be made in a bundt pan by chance? Thanks so much! Yes, though it might only need 50-55 minutes. Check it towards the end of the bake time. I’m so glad you’re loving the recipes!